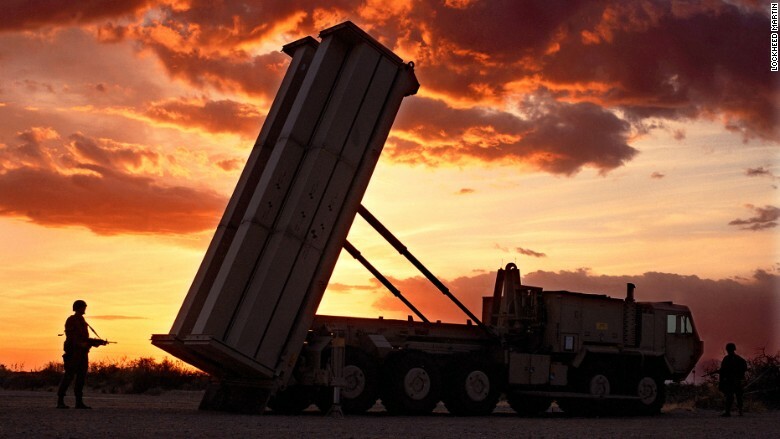 The South Korean company feeling the brunt of China's anger over a controversial U.S. missile system has a message for Beijing: Don't blame us. Lotte has seen 87 of its 99 stores in China closed and work on a theme park in the country suspended since it agreed to hand over a golf course to the South Korean government to house the THAAD missile defense system. Chairman Shin Dong-bin told CNN that his company was unable to refuse the government's request for its land. "I think there's a lot of misunderstandings about our position, and we have nothing to do with the missile deployment," he said in an interview Monday. "I would like to explain that." Lotte would ultimately have had no choice because it was a matter of national security, a senior South Korean defense official told CNN. Shin said he would like to talk directly to Chinese government officials in Beijing, but he can't leave South Korea because of a travel ban imposed by prosecutors investigating a massive political corruption scandal. Instead, Shin says he's held several meetings with the Chinese ambassador in Seoul to discuss the situation. China's unofficial retaliation has taken the form of sudden inspections, protests and boycotts. Chinese authorities have cited fire safety issues as the reason for shutting some of Lotte's stores and ordering a halt to construction work on the theme park. Shin Dong-bin told CNN on Monday that South Korea's next president needs to "take the helm strongly" and negotiate with China. So far, the talks with the ambassador have failed to bear fruit. 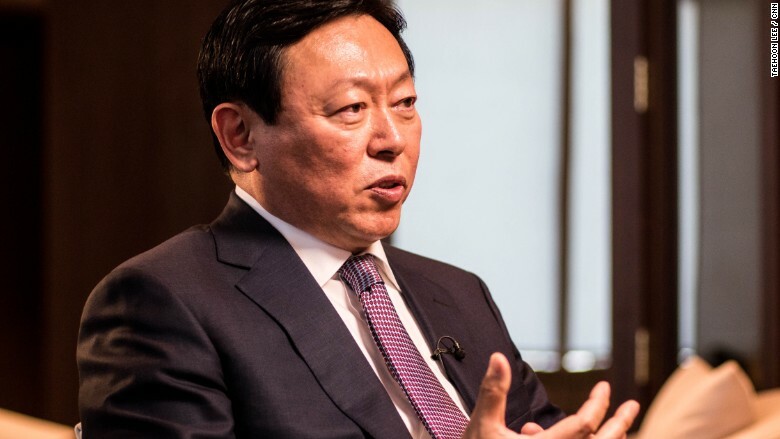 Still, Shin remains optimistic, saying he hopes the problem will be solved "within a couple of months" and he has no plans to pull back on investment in China. Lotte, one of South Korea's biggest conglomerates, has longstanding ties to China. It's been doing business there for more than 20 years, employs 25,000 people and has invested more than $5 billion, Shin said. "The decision could turn into a nightmare for Lotte," China's official news agency, Xinhua, warned in February. The political turmoil in South Korea that led to the ouster of former President Park Geun-hye has undermined the ability of the government in Seoul to respond strongly to China on behalf of Lotte and other companies, Shin said. 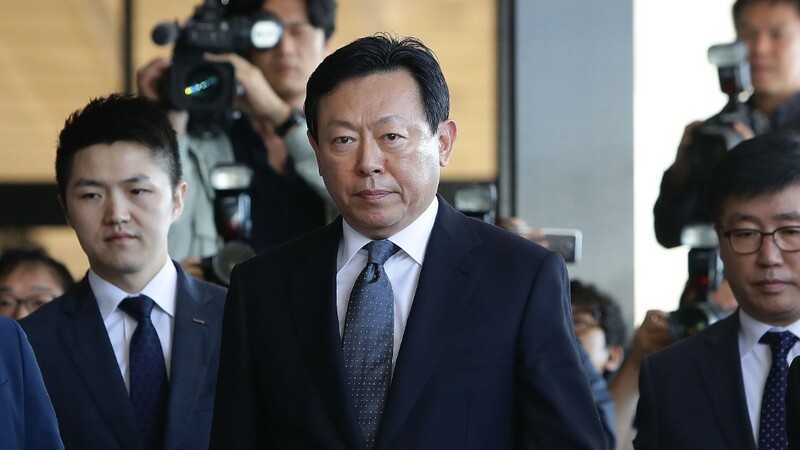 Like several other top business leaders, including the de facto chief of Samsung, (SSNLF) Shin is facing scrutiny in the corruption scandal that brought down Park. That's the reason he's not allowed to travel. Speaking on the company's 50th anniversary, Shin says he isn't worried he'll end up behind bars because he's done nothing wrong. His firm celebrated its half century with the opening of Lotte Tower, South Korea's tallest skyscraper. After South Korea's recent political chaos, Shin says he thinks the policy of the frontrunner to become the new president, Moon Jae-in, would be "probably positive ... to change the current relationship with China." The next president will need to "take the helm strongly and negotiate with countries including China," he said. -- Taehoon Lee contributed to this report.